Ebola research papers examine the symptoms and origin of the destructive disease. 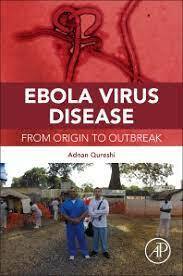 Ebola research papers discuss the emergence of this disease in the world today. Paper Masters has researchers that write on Ebola and other medical health diseases. Ebola is a very destructive disease that is caused by an ebola virus There are a myriad of symptoms that ultimately lead to the death of the carrier if decisive action is not taken. Fruit bats are believed to be the natural carriers of the virus, able to pass it on to humans and other mammals without being affected themselves. Outbreaks have been numerous and frequent. "Since the Ebola Virus was first identified almost 40 years ago, the World Health Organization reports 24 previous outbreaks of Ebola and its subtypes". Ebola is concentrated in Africa and the first recorded death from the disease happened there. Typically when a person is affected by the ebola virus, it takes up to a couple of weeks before symptoms start showing themselves. Treating Ebola at this early stage is imperative but difficult. In Emergency: Mass Casualty: Ebola, Anna Easter explains why: "Early diagnosis is difficult because the presenting symptoms include those evident in differential diagnoses such as influenza and sepsis. Differential diagnosis is time consuming and extremely costly". Vomiting and diarrhea follow a short while after, and the person's liver and kidneys begin to shut down. If the person dies, this typically happens between one to two weeks of the first symptoms showing themselves. Ebola can be transmitted with the exchange of any bodily fluids with anyone who is affected already. Contact in general is also not recommended, especially with a recently deceased patient. Luckily it is fairly difficult to catch the disease as long as the proper steps are taken to prevent transmission. Historically those most susceptible are caregivers treating people who already have Ebola. Preventing transmission can be as easy as washing regularly with soap and water after coming into contact with someone affected. One of the issues with Ebola is that there is currently no specific treatment for the disease; however, there are measures that can be taken to increase the chances of survival. These measures include re-hydration as well as regular treatment of the various symptoms. In the developed world, more intensive care is used and can be attributed to the lack of outbreaks in these areas. These treatments include maintaining blood volume and salt balance as well as getting rid of infection as soon as it starts. Africa is typically where the disease occurs in outbreaks, with the largest outbreak in history going on currently. In 1976, the first recorded outbreak occurred in Sudan. It has since spread out from there, although the continent of Africa remains the area with the most concentrated amount of occurrences. Yellow Fever - The first outbreak in the Americas occurred in Barbados in 1647. The disease was named “yellow fever” in 1744. Hepatitis - Although some sexual contact can promote the transmission of the disease, widespread outbreaks typically occur when food has been exposed to unsanitary conditions. Epidemiological Study - Finally, an outbreak investigation is the examination of a disease occurrence, which seeks to trace and understand an outbreak of a particular disease. Ecological Studies - The first recorded ecological study took place in 1854, when John Snow studied a cholera outbreak in London. Swine Flu - Swine Flu research papers examine the form of influenza A (H1N1), a respiratory disease. Typhoid - During the 19th century, Typhoid caused millions of deaths. Spanish Flu Pandemic - In just one year of this disease, more people were killed than in a four-year outbreak of the Bubonic Plague; this is due in part to the increased population. Black Death and AIDS - Statistically, the AIDS epidemic is analogous to the Black Death that swept across the world during the fourteenth century. Order a research paper on AIDS from Paper Masters. Paper Masters writes custom research papers on Ebola and examine the symptoms and origin of the destructive disease.